Bryan Stevenson was a young lawyer when he started the Equal Justice Initiative, a legal practice dedicated to defending those most desperate in need: the poor, the wrongly condemned, women, and children. 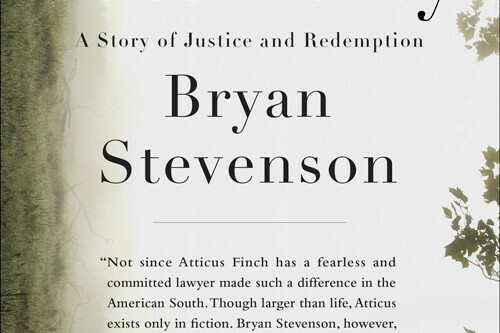 One of Bryan Stevenson's first cases defended a young man sentenced to die for a murder he insisted he didn't commit. The case drew Bryan into a tangle of conspiracy, political machination, legal brinksmanship, and transformed his understanding of mercy and justice forever. Join a discussion of the book led by Sarah Harless, recently elected Eau Claire County Judge.